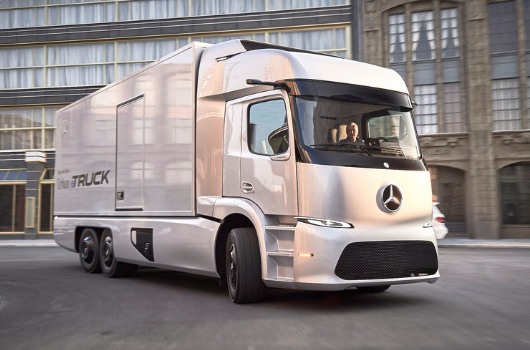 The German Federal Ministry of Transport (BMVI) has submitted a subsidy policy for environmentally friendly trucks, which has been published in the Federal Gazette at the beginning of June. The subsidies amount to € 12,000 for e-trucks up to 12 tons and € 40,000 for e-trucks over 12 tons. Grants are limited to € 500,000 per company. In 2018, € 10 million will be available within the programme. Initial applications can be submitted in July. Trucks on the road are often 10+ years old, which means that most of those we see on the road do not yet comply with the newest emissions regulations. Even environmentally aware countries, like Germany, still have a negligible proportion of electric trucks and vans on its roads, while other places, like Italy, have a sizeable proportion of delivery vans powered by natural gas, which is less pollutant than diesel, but still a source of GHG.